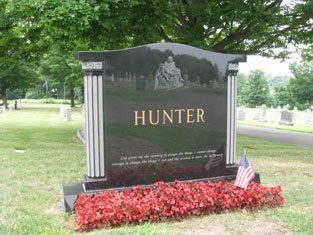 Mathieu Memorials, locally owned and operated, offers an extensive variety of custom cemetery memorials, footstones, granite and bronze markers, civic monuments, signs, benches, mailbox posts, and pet portraits. 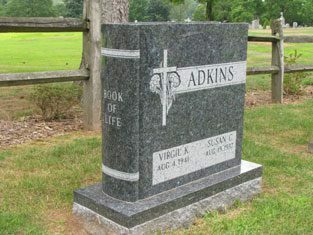 We also provide cemetery lettering services, when information needs to be added to an existing headstone or marker. 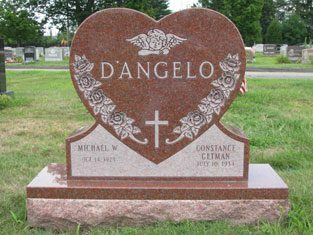 Each memorial we create is custom-made to celebrate the life of your loved one. As a family-owned business, we take pride in the quality of our products, workmanship, and service. 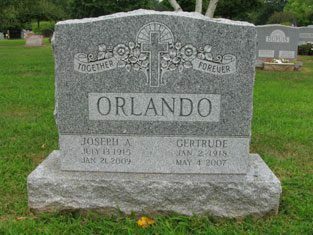 We will work closely with you to create a beautiful and fitting tribute. 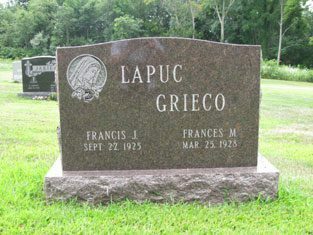 Our two convenient locations in Meriden and Southington serve all faiths and all cemeteries throughout Connecticut. 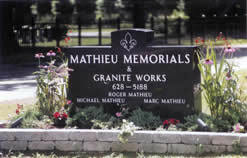 Mathieu Memorials has been recognized by Stone in America magazine, Royal Melrose Granites, and the Southington Chamber of Commerce. 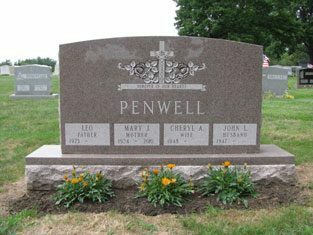 We are proud members of the New England Monument Dealers Association, Monument Builders of Connecticut, the Meriden Chamber of Commerce, and the Southington Chamber of Commerce.